Bo Dietl Shares: Is The Privacy Of Your Cell Phone Important? Bo Dietl Shares: Is Your Cell Phone Privacy Important? As technology continues to advance in the cell phone industry, consumers are faced with different issues that make them consider the privacy of their cell phone and how much this privacy is protected. Recent Supreme Court decisions have proven how the legal system regards cell phone privacy, and the dramatic shift that is beginning to take shape between technology and the law. In fact, the attitude that the Supreme Court has taken about cell phone privacy is shocking for many. The high court has equated a cell phone search as searching a suspects pockets. It is typical for the government to use a simple strategy when it comes to handling technological advancements. The first thing that the government usually does is look for a precedent that provided the government with the same type of access to information in the real world. The government will then try to provide an argument that states the same precedent should be used in the digital world also. However, it is often overlooked that these precedents can take away a person’s privacy, especially when it is in regards to their cell phone. There are several examples of this occurring over the past few decades. In the mid-1970s, the Supreme Court decided that a bank customer did not have Fourth Amendment protection rights with bank deposit slips submitted to the bank. The principle states that citizens lose their rights to privacy when they submit information to a third party. This principle has also been applied to the digital world. The court has ruled that email users do not have privacy when they decide to store messages on Yahoo or Google owned servers. Most cell phones today have trackers. The government has deemed that it is within its rights to track your location. The argument is that a warrant is not needed to obtain information about where a person is or has been. This is considered another example of third party information or doctrine. In a case presented to the Supreme Court in 2012, the majority of the court has difficulty applying these outdated laws to digital technology. The opinion of the majority determined that the police trespassed when they placed a tracking device on the plaintiffs car. However, for privacy advocates, the ruling was unsatisfying. It failed to address that GPS tracking is dangerous whether a physical trespass has been committed or not. The government wants the judicial system to ignore the obvious differences between the precedents for outdated technology and the technology of today. However, these types of rulings have also shown that the justices of the Court will not be very credulous. 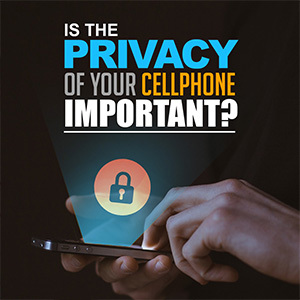 Is-the-privacy-of-your-cell-phone-important As technology continues to advance in the cell phone industry, consumers are faced with different issues that make them consider the privacy of their cell phone and how much this privacy is protected. Recent Supreme Court decisions have proven how the legal system regards cell phone privacy, and the dramatic shift that is beginning to take shape between technology and the law. In fact, the attitude that the Supreme Court has taken about cell phone privacy is shocking for many. The high court has equated a cell phone search as searching a suspects pockets. Outdated Legal Strategies For Digital Technology It is typical for the government to use a simple strategy when it comes to handling technological advancements. The first thing that the government usually does is look for a precedent that provided the government with the same type of access to information in the real world. The government will then try to provide an argument that states the same precedent should be used in the digital world also. 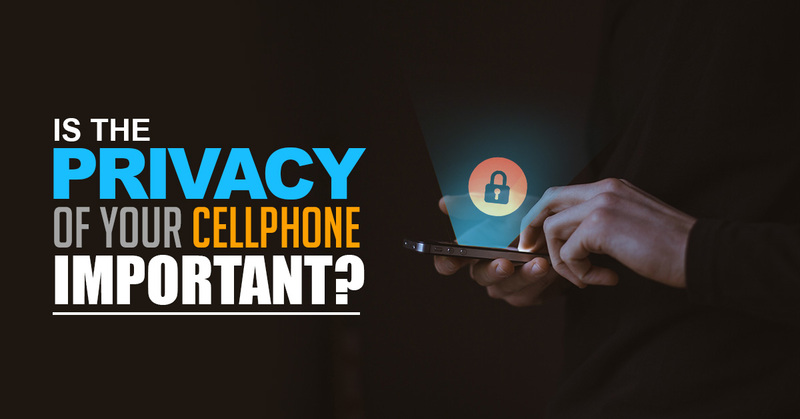 However, it is often overlooked that these precedents can take away a person’s privacy, especially when it is in regards to their cell phone. There are several examples of this occurring over the past few decades. In the mid-1970s, the Supreme Court decided that a bank customer did not have Fourth Amendment protection rights with bank deposit slips submitted to the bank. The principle states that citizens lose their rights to privacy when they submit information to a third party. This principle has also been applied to the digital world. The court has ruled that email users do not have privacy when they decide to store messages on Yahoo or Google owned servers. Most cell phones today have trackers. The government has deemed that it is within its rights to track your location. The argument is that a warrant is not needed to obtain information about where a person is or has been. This is considered another example of third party information or doctrine. The Reasons The Digital World Is Different In a case presented to the Supreme Court in 2012, the majority of the court has difficulty applying these outdated laws to digital technology. The opinion of the majority determined that the police trespassed when they placed a tracking device on the plaintiffs car. However, for privacy advocates, the ruling was unsatisfying. It failed to address that GPS tracking is dangerous whether a physical trespass has been committed or not. The government wants the judicial system to ignore the obvious differences between the precedents for outdated technology and the technology of today. However, these types of rulings have also shown that the justices of the Court will not be very credulous.